The European dealer network of Stas manages the end customers of the local market and is responsible for the sales to the end-customer. The quote creation was a lengthy process with a lot of manual steps and decisions, which resulted in the creation and management of quotes on behalf of their dealers. This created a lot of extra work for the Stas sales team, which wanted to concentrate themselves more on their core tasks: training and helping their dealers and managing their Key accounts. Together with Stas we implemented a cloud dealer platform, which allows their dealers to create real-time quotes. All communication is now streamlined via this platform, ranging from management of end customers, funnel management, goal achievement and follow up of finished trailers. Stas did not stop there. Stas saw the opportunity to improve their Key Account process and implemented an even more objective dealer evaluation process. Their years of sector experience with our overall business experience and innovative IT platform proved to be a wining combination. We have started working for Stas at the very early beginning of their CRM journey. Before starting with the implementation of a CRM system we have helped them to crystallize their CRM vision and define their CRM roadmap helping Stas to better manage their dealers and improve their sales. After this initialize exercise, we have done an end-to-end implementation of a CRM dealer management system based on MS Dynamics CRM Online including a fully functional portal using Adxstudio on Azure to better manage their quotes and orders. 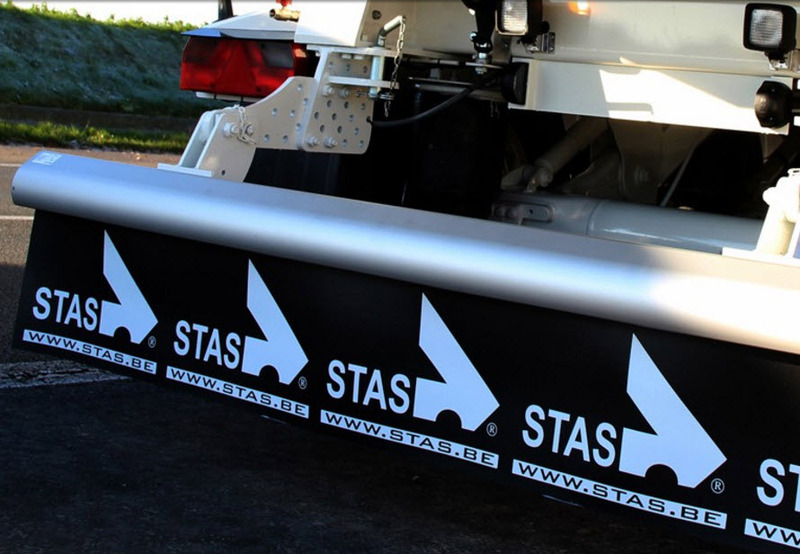 Currently we are supporting Stas to further enhance their CRM system. Our shaping framework built on a combination of business, industry and IT knowledge, contains all the necessary steps including stakeholder analysis, business objectives definition, to-be analysis, … to identify pain points, create a solid plan and define the correct KPI’s for a CRM project. Using our agile project methodology, allowing business, functional and technical team members to work as one team we apply a consistent approach translating the CRM roadmap into success, always linking the work to the business objectives we are trying to realize. Together we deliver a CRM platform aligned to the customers’ strategy. Once the CRM project is delivered it is absolutely crucial to manage and improve the CRM platform so that it actually delivers its full potential. To make sure this is possible we deliver the required knowledge and technical skills to support, maintain and improve the CRM platform, all managed via a robust support framework. "Our new dealer management system helps us to reduce administrative tasks, streamline our collaboration with our dealers and allows us to concentrate even more on our core task: building state of the art trailers."